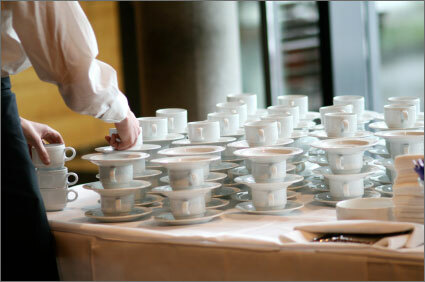 Bon Appetit Caterers are experienced providers of corporate catering including training days, office presentations, conference lunches, office party refreshments, hot or cold buffet and much more. 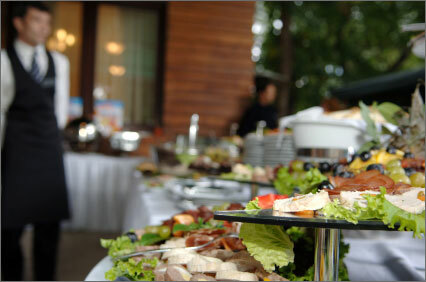 Bon Appetit Caterers are experienced providers of corporate catering including training days, office presentations, conference lunches, office party refreshments, hot or cold buffet and much more. Bon Appetit has worked hard to build a reputation throughout Lincolnshire for providing quality affordable outside catering. We have co-ordinated and catered for large corporate companies such as BASF, huge shows for the VIP hospitality marquee of over five hundred people and elegant parties across Lincolnshire. We offer true flexibility in our menu’s and take our skills to many venues providing our culinary services to events and receptions across the region. Our corporate catering service can include training days, office presentations, conference lunches, office party refreshments, hot or cold buffet, in fact any event you need catering! Please fill in our contact form with your unique requirements and we will send you a tailor made menu that we believe will work best for your event with a no obligation quotation. If you are not sure exactly how you would like your event to run, then let our experience and ideas inspire you.